Over the past few months, we have been truly blessed to have Shelbi Baker helping us out at Music Therapy Connections. Shelbi approached us in the early fall to ask if we were hiring an administrative assistant. At that point, we hadn’t even thought about it. Shelbi asked for a position that didn’t exist and we created it. She helped us realize that we really did need the help! Since then, she’s been coming into the office once or twice a week to help with all of the behind the scenes activities that take place and we are soooo grateful for all of the help she provided! Shelbi saved Rachel and I numerous hours creating packets, burning CD’s, prepping materials, emailing families, scheduling lessons, communicating with teachers, and more. We are deeply saddened that this is Shelbi’s last week at MTC but are thrilled that she will be moving on to an exciting new adventure working full time in her field in St. Louis. Congrats Shelbi!! We’ll Miss YOU! I am so glad to be back in the swing of things after the break and posting again! 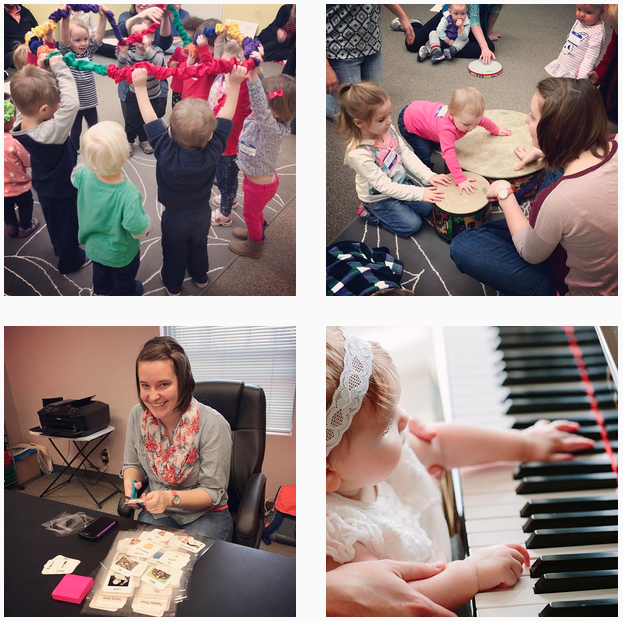 It has been a whirlwind of a few months here at Music Therapy Connections. I am approaching my four month mark for my six month internship. I am now at the point where I am leading most of the sessions and interactions between students, clients, patients family, doctors, nurses, and so on. Every day I get asked questions like…“So you play guitar for the kids here?”, “You help them to relax?” or the most common response “What is music therapy?”. So, what do you say? How do you explain what we do to parents, students, doctors, or someone who overheard you at the grocery store. Well..
Who are you talking to? If you are speaking to a student or a child it is perfectly appropriate to use abbreviated terms and casual speech, but when parents, nurses, and other adults ask they usually want to hear the more clinical aspect of what we do and how we approach therapy. What is their need to know information? Are they asking about music therapy concerning their mother who has Dementia, their niece who has autism, or even themselves. If time permits it is very helpful to ask what sparked their interest. That can be help you to give them information and resources that cater to their interests. Finally, and this is a big one… TIME. Is this an inquiry via email, in a shopping line, in passing in the hallway or even on an elevator. What do you do when someone asks you the big question “So, what is music therapy?” and you have two floors to give them a clear and concise answer. AND GO! To be a music therapist you have to have a four year degree in music therapy and complete a six month internship full time totaling 1040 hours. After internship the student must take the board certification exam and pass to become a board certified music therapist or MT-BC. 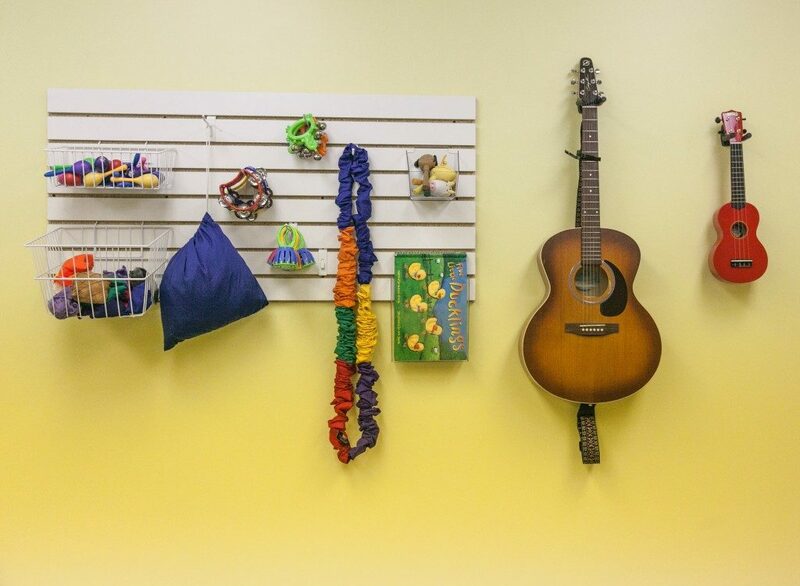 In music therapy we address non-musical goals like speech, cognition, social skills, emotions, and motor goals. If we were to focus on musical goals that would be more of an adaptive lesson. Music contributes to therapy in many ways including providing grounding and orientation, rhythmic stimulus for calming heart rate or promoting a steady consistent gait, and in general music comes with less verbal and physical expectations. There are many ways to achieve a successful therapeutic experience in music therapy without any speech at all. Music therapy is a wide reaching profession. It is impossible to explain all of what we do in a few sentences in a line at the grocery store, but with a few go to facts we can all advocate for music therapy every day. Awesomely, the consensus so far is that we should keep doing what we’re doing, with some tweaks here and there. Many parents have suggested specific types of songs and activities they would like to see added, along with ways to elicit even more participation and opportunities for learning. We’ve also gotten feedback regarding the length of our sessions, class sizes, and days on which classes should be offered. It’s been super helpful for future planning. If you’re interested in asking YOUR families for feedback, you can check out the survey we sent here. It’s super simple, and at some point we’ll probably send out something more in-depth, but for now, the types of responses we’ve been receiving are exactly what we need. One last note: my favorite thing about the survey results is getting to see just how comfortable our families have become with us. There were more than a few witty comments and suggestions that had us lol’ing as we read through them, and lots of sweet words about how the impact we’ve made on their children. There is absolutely no better feedback than that! When Rachel & I sat down for a quick coffee date in January 2014, neither of us had ANY clue where it would lead. We talked about life, goals for the new year, and she gave me some reading recommendations. She asked about wedding planning, I asked about Parker. You know, the normal stuff. Then she dropped the single sentence idea that would change everything. I’m sorry… what??? Like a freestanding building dedicated to music therapy??? Of course!! The following two years were an absolute whirlwind of amazing things I could never have imagined. We joined practices, rented space at Capital City Music , took on subcontractors, added an internship, moved into a 2,300 sq. ft. space of our own, and so much more. We have met and exceeded almost every one of our 2-5 year goals in only 18 months. The past two years have been a constant state of growth and movement. However, with growth comes the need to create new goals and re-examine the business. A couple weeks ago, Rachel and I sat down for a long business meeting to re-assess where we are at and what the next steps need to be. Over the course of this meeting we developed our three focus words for the new year. One of the biggest frustrations we faced during early childhood classes at our previous location was the placement of our instruments and equipment. We were constantly redirecting our students away from the guitar, which sat in a floor stand when we weren’t using it, and trying to keep little hands out of the drawers of our rolling instrument cart. So when we moved to our new studio and had complete control over how the room was designed, our first priority was to structure the room in a way that instruments and equipment were out of reach and no longer a distraction for everyone. We considered a few different solutions, and then one day Katey sent me a photo of the slatwall that was hung all over the walls of the music store in which we were previously located. Why didn’t we think of that sooner!? So we picked up sheets of slatwall from our local hardware store, which were easy enough to drill into the walls and then stock with accessories for hanging and storing, which were purchased here. We also installed guitar wall mounts in our group rooms and in our individual lesson/session rooms so that our guitars and ukuleles could be kept out of reach. Our storage solutions have not only allowed us to keep our instruments and equipments better protected, but they have also made lots more floor space for our students and families during classes. This has come in very handy as our numbers have grown quite a bit since moving to our new studio!